Over the last few years, much has been made of the vision of the ‘paperless office’ – an environment where the volume of paper-based documents produced and stored by businesses are reduced or removed entirely as an impact of digitization. Recent research reviewed the thoughts of global business leaders today and it appears that a significant number believe the vision of the paperless office will become a reality. 59% of those surveyed agree that the concept of non-digital information will be utterly foreign to employees by 2020. However the reality is that today organizations are still dependent on paper, with 43% of all business critical document processes relying on hard copy data. 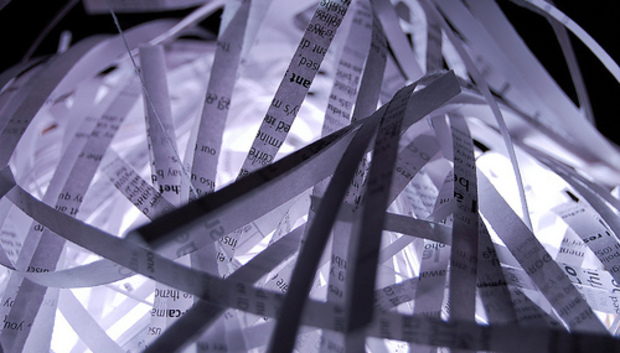 While it is unlikely that paper will vanish altogether, office workers will still need to write and print to some extent, there is no doubt that the big data explosion is bringing a new dimension to the paperless vision and acting as a catalyst for organizations to get closer to this goal. As the volumes of information in the workplace are increasing, there are some very practical reasons for organizations to accelerate the digitization of their business document processes in the big data environment; firstly many businesses no longer have the physical storage space for paper based records and archives. Secondly, in a challenging economic climate, organizations are actively looking to exploit the benefits of more client data to influence customer led innovation and ensure faster business decision making. CIOs are all too aware that a first class approach to information sharing can drive up profits, ensure more agile business operations and empower employees. Thirdly, the use of less paper is necessary to reduce environmental impacts and carbon footprint. To reach a paperless environment, businesses need to automate all business critical processes so that both digital and paper information is integrated and can be accessed from one place, at any time. Currently just 11% of European businesses have a fully automated process to manage business critical documents. And European businesses are estimated to be spending in excess of 362 million hours per year of their working time on managing critical document processes. A modest 10% improvement in efficiency, as a result of optimized document processes, could equate to a profit increase of approximately €46 billion. Forward-thinking organizations are already engaging with organizations like Ricoh to help them digitize and optimize their current paper based business critical processes and get closer to the vision of a more efficient, profitable and paperless office. Organizations that have yet to take the first step should not leave it much longer. Instead they should begin to explore a vision that extends beyond using less paper to one where document and information processes are connected; the big data explosion is adding business value and knowledge workers are able to realize their full potential.